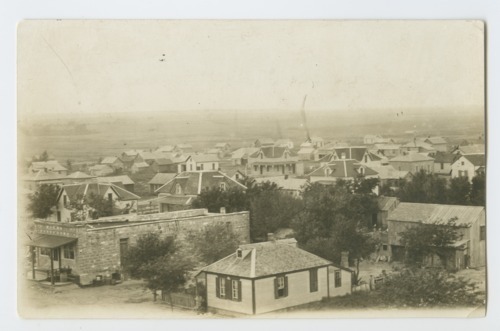 This sepia colored postcard shows a birds eye view of Herzog, Kansas. The town, located one half mile north of the English settlement of Victoria, was founded in 1876 by Volga German settlers. In 1913, the two towns incorporated under the name of Victoria.